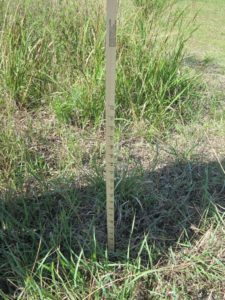 GrassWorks Pasture Sticks are a great way to manage your pastures, determine dry matter and when to move your cattle to the next paddock. 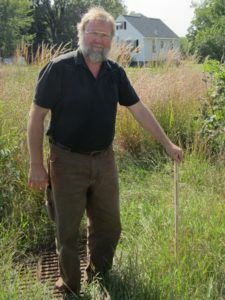 Thanks to a generous donation by Organic Valley, GrassWorks can provide the sticks at the low price of $20 each, which includes shipping and handling. To order, print and complete the Pasture Stick Order Form. We also have a new shipment of our GrassWorks Grazing Guide which contains some of the best information available on managed grazing in the Midwest. The Guide is available for $45.00 (includes shipping and handling) and 10 Guides or more are $40.00 each in a bulk order. 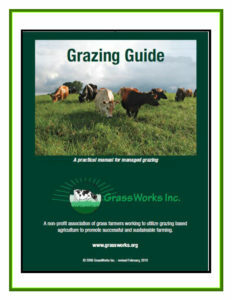 To order just download, complete and send an Individual Grazing Guide Order Form or a Bulk Rate Grazing Guide Order Form with your payment.